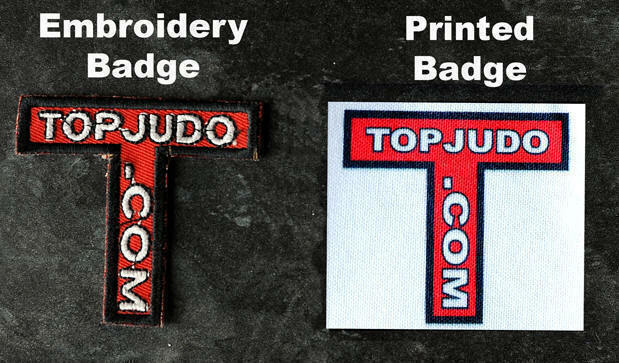 For all your Printed Patches give us a call first. You will be surprised at our competitive prices and quick turn around. Based in the UK we produce all our artwork, badges and patches in house. We are happy to use your existing art work or we can produce from just an idea you may have. Our patches have been sold to a global market world wide. We are happy to produce just one single item or over 1000. We have produced over 12,000 + to date. Feel Free to look around and see some samples and ideas. Thanks for visiting our page and our family business hopes to deal with you soon. We make badges for clubs, federations and associations. Embroidery badges or printed badges are ideal for club identity. We have found many clubs request small run orders. We are happy to produce as few as 10 badges. Contact us with your requirements and we will be happy to quote. Printed badges can cost as little as £2 each. ORDER YOUR PRINTED PATCH NOW. If you would like to order more than one, please change quantity at check out. If you have a badge or artwork that you would like included please email the jpg or pdf file to us. Attach your requirements and how many you would like (one is no problem) and we will respond as promptly as possible. Many thanks for your enquiry.